1. In 2010, Ms Lawless engaged a firm of solicitors to do certain work for her. Apart from an initial down-payment of €5,000, she has not paid a cent for the work that followed. That work was not un-extensive. It related to a dispute concerning an auction of certain lands. Ms Lawless maintained that despite being the highest bidder at an auction of the lands, the lands were not sold to her. Legal proceedings were initiated. Junior and Senior Counsel were retained. Eventually, the proceedings settled. But in all the ‘to-ing and fro-ing’, Ms Lawless ran up legal fees of €176,433.65. 2. A comprehensive fee note issued to Ms Lawless on or about 7th November, 2011, and has been placed before the court in evidence. This indicates that the fees payable by Ms Lawless comprise, inter alia, €120k of solicitors’ fees, almost €40k of fees for Senior Counsel, and €24k for junior counsel. These are enormous, though not at all untypical, fees that point to a continuing deficiency in our legal system whereby full and proper legal representation, at least in civil proceedings, is increasingly a boon that is properly affordable by the few who are rich, and a bane to be feared by the many who are not. Lord Neuberger, President of the Supreme Court of the United Kingdom gave an address (pdf) to the International Council of Advocates at the World Bar Conference in Edinburgh recently. Given the occasion, Neuberger was mostly concerned with the role of advocates; but he did also mention the inter-relationship between bench and bar; and he made a very interesting observation about judicial diversity, in particular about the desirability of recruiting judges from academia or government. 6. I believe that the system that it exists in the countries represented here today, Zimbabwe, Wales, South Africa, Scotland, Northern Ireland, New Zealand, Namibia, Ireland, Hong Kong, England or Australia, is one which we have every reason to feel proud of. Not only does each of us have a strong and independent judiciary and a strong and independent legal profession, but we each have a system which ensures that the two groups, judges and lawyers, understand each other. A late-entry judiciary consisting mostly of people who have been practising lawyers is a great advantage. It means that our judges have experience and understanding of the other side of the courtroom, with all the pressures of legal practice, and it also means that our judges have some direct experience and understanding of the real world (if there is such a thing) outside the courtroom. Born in Kingston Ontario, the young Thomas Cromwell earned degrees in Music and in Law from Queens University, an ARCT Diploma from the Royal Conservatory of Music, and a Bachelor of Civil Law from Oxford University. After spending time teaching at both the University of Toronto and Dalhousie University, Justice Cromwell served as Executive Legal Officer to then-Chief Justice Antonio Lamer between 1992 and 1995, before going on to serve in the judiciary himself. In 1997, he was appointed by former Prime Minister Jean Chretien directly to the Nova Scotia Court of Appeal despite not having had any prior experience as a trial judge (although he had previously served as a labour arbitrator and adjudicator in Nova Scotia). Indeed, as another assessment commented, Justice Cromwell “was considered one of [the SCC’s] leading lights, and a possible replacement for Chief Justice Beverley McLachlin … in 2018”. Note then: a judge who was drawn from the academy rather than practice was highly regarded that he was mentioned as a possible Chief Justice in one of the common law world’s leading courts. 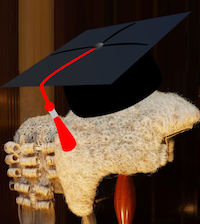 This raises, once again, the question which I have asked on this blog in the past: why should Irish legal academics not be judges? In my view, there is no good reason why judges, especially appellate judges, should not be drawn from the ranks of academics. It is well past time that Irish law allowed for this. Proposed legislative amendments to allow for this have already been drafted. When we eventually get a government, this is a matter which should be taken up by the Department of Justice’s still-ongoing consultations on the process of judicial appointments. This development will not have concluded by the time the Government comes to nominate the late Adrian Hardiman’s successor, but it should do so by the time the next vacancy arises on the Court of Appeal. The Government is conducting a wide-ranging review of all matters concerned with judicial appointments that will allow the necessary full assessment of all aspects of the issue. It is committed to bringing forward legislative reforms in this area and a judicial appointments Bill which is being prepared is the subject of a commitment in the agreed programme for Government. The subject of the amendments, that is, the eligibility of legal academics for judicial appointment, is one of a wide range of matters included within the scope of the review I have mentioned. … Arising from the consultation process, draft legislative provisions to reform and update the judicial appointment procedures are being prepared by the Department, as such legislation is part of the agreed programme for Government. 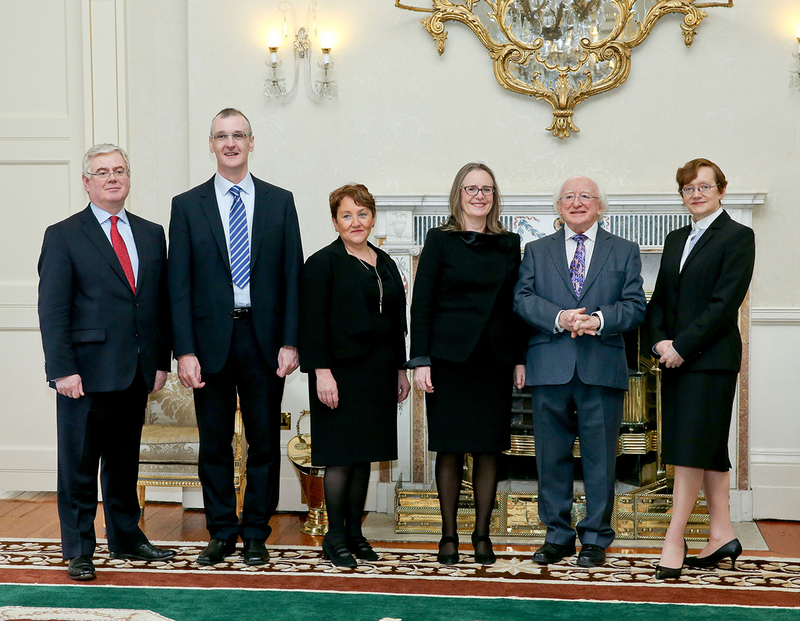 The Minister has indicated that reforms will be brought forward in 2016. Pictured left is a thumbnail of a photograph of an advertisment that appeared in last Friday’s Irish Times (click through for the full size photograph, where the advertisment is more readable; it’s not online anywhere I can find). It is an advance announcement of the upcoming vacancy for Chief Executive Officer of the Legal Services Regulation Authority (LSRA). 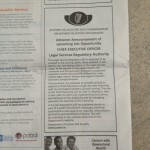 I suspect that, when the advertisment was placed, it was expected that the Report and Final stages of the Legal Services Regulation Bill, 2011 would have been taken in the Seanad last Thursday. However, given the large volume of government amendments to the Bill, the Committee stage spilled over until Thursday, and the marathon Report stage continued through Tuesday and yesterday, when the Final stage was taken. After all the squabbles, all the controversy, and all the amendments, all that is required now is the signature of the President. The advertisement says that, once the Bill is enacted, it is intended to proceed quickly to appoint a Chief Executive and get the LSRA up and running. 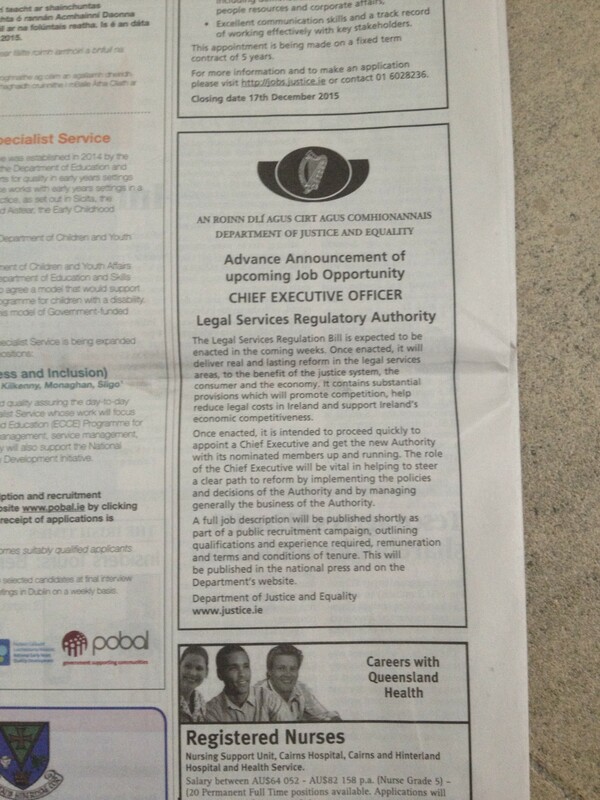 Presumably, the CEO and other vacancies will appear in due course on the Public Jobs website. (e) 2 shall be nominated for appointment by the Law Society. Given that the members will be nominated by these various bodies, there will be no role for the State Boards website. (There are interesting statistics in the Irish Times (though not yet on the state boards site) on the first year of operation of the latter website: there were than 4,200 applications for 255 vacancies on 63 State boards; of those appointed, 56 per cent were male and 44 per cent were female). And in making its appointments to the LRSA, the Government will have to ensure that no fewer than 4 members are women and no fewer than 4 members are men. 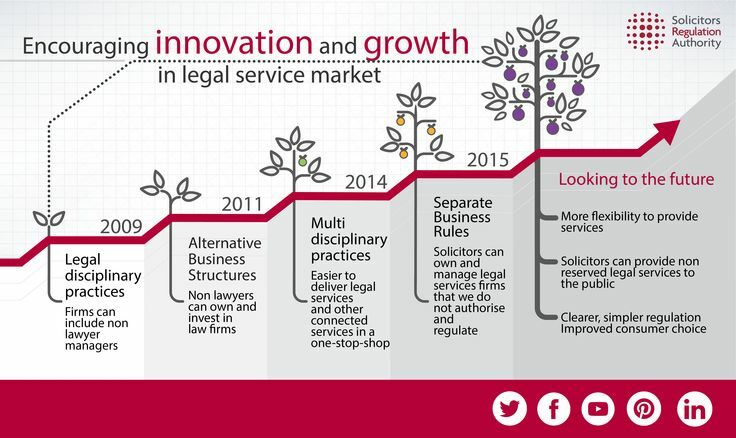 … will launch a consultation by spring 2016 on removing barriers to entry for alternative business models in legal services, and on making legal service regulators independent from their representative bodies. This will create a fairer, more balanced regulatory regime for England and Wales that encourages competition, making it easier for businesses such as supermarkets and estate agents among others, to offer legal services like conveyancing, probate and litigation [para 2.11, p 12 (pdf)]. Hard on the heels of my post on access to justice when legal costs are high come two updates. First, in the UK, the Solicitors Regulatory Authority (SRA) has published a position paper, proposing a new simplified model for principles-based regulation of the solicitors’ profession. A timeline of reform of that profession over the last decade is set out in the image at the top left; click on it (or here) for a bigger version. Second, the Seanad yesterday continued – and came close to completing – its consideration of the Legal Services Regulation Bill, 2011. Given the controversy that has attended earlier stages of this Bill, the lack of fanfare yesterday and today is remarkable. Perhaps this is the way reform now begins, not with a bang but with a whimper. I have had occasion on this blog to repeat the old adage that justice is open to all – like the Ritz Hotel. I was reminded of it by two headlines I saw this morning. 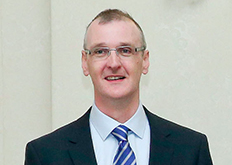 Update: Barrett J made these remarks in Traynor v Guinness UDV Ireland  IEHC 732 (24 November 2015) , permitting the case to proceed, but recommending that the parties resolve the matter “collaboratively if possible, by mediation if not, by expert decision if necessary and, only as a very last resort, in this fearfully expensive forum” (id). 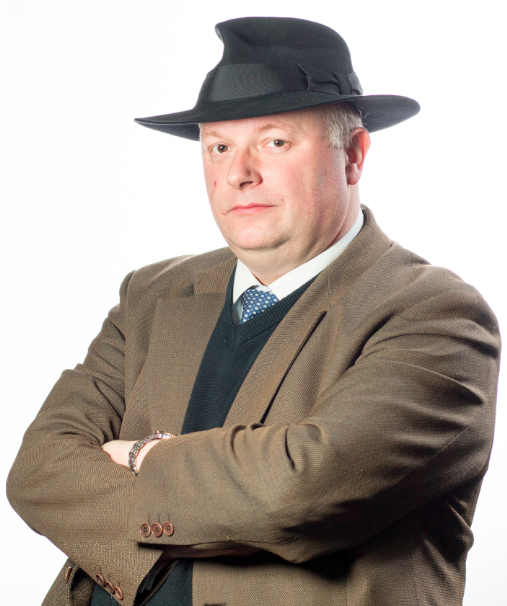 Lawyers and legal advice are well beyond the budgets of ordinary people, a survey published this week has found. Some 70 per cent of respondents to research conducted by Citizens Advice said they would not be able to afford a lawyer to advise on a problem or dispute. Only about 10 per cent were confident they could stump up the cost of legal fees. Other conclusions from the Report are that 1 in 7 don’t have confidence in the justice system, that low levels of support and advice are putting off some people from seeking to solve their problems, that more and more people are going to court without a lawyer, that negative experiences are leading to negative opinions of the justice system, that people’s bad experiences and perceptions of justice are putting them off using it, and that, overall, only 2 in 5 (39 per cent) people believe that the justice system works well for citizens. Also published today is a Report Card on Barriers to Affordable Legal Help in the US, which makes very similar points. The American Bar Association has established a Commission on the Future of Legal Services to “propose new approaches that are not constrained by traditional models for delivering legal services and are rooted in the essential values of protecting the public, enhancing diversity and inclusion, and pursuing justice for all”. The recent Canadian Bar Association report on its Legal Futures Initiative – entitled Futures: Transforming the Delivery of Legal Services in Canada (pdf) – made a series of recommendations around flexibility in business structures, including the adoption of alternative business structures, and new models for legal education. In Australia, recent reforms in New South Wales and Victoria are intended to create a common legal services market, underpinned by a uniform regulatory system, to promote efficient and cost-effective administration of justice. Canada and Australia are on a journey down the same road travelled recently in the UK, where the destination was the Legal Services Regulation Board established by the Legal Services Act 2007. Also on that road is the Legal Services Regulation Bill. If it improves the problems identified by Barrett J, by reducing legal costs, then its (long delayed, but now imminent) enactment cannot come soon enough. And it will be a necessary endeavour. Confidence in the administration of justice is at the heart of the rule of law. Access to justice is a constitutional fundamental (Greenclean Waste Management v Leahy (No 2)  IEHC 314 (05 June 2014)  (Hogan J, upholding after the event legal costs insurance as serving important needs within the community by facilitating access to justice for persons and entities who might otherwise be denied it). Of course, the Bill (heavily amended, and now far more modest than the position recommended in Canada, or obtaining in the UK, New South Wales, and Victoria) on its own will be an insufficient remedy for these problems, but it is a start it might at least be a good start, and it may even be half the work. But that is all that it will be. Far more will need to be done. Much will depend on the Legal Services Regulatory Authority established under it. For that, we shall have wait and see. And, meantime, our expensive court system will remain alien to many and truly accessible to increasingly few.